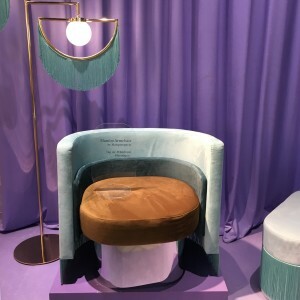 This season we thought we’d give you our take on the furniture influences we picked up on at this years Maison & Objet – the biannual international home and interior trade show attended by approximately 3000 exhibitors and almost 90000 visitors. There were two main themes that stood out this season because of the contrast between them – let’s call them ‘Curved’ and ‘Slouchy’. 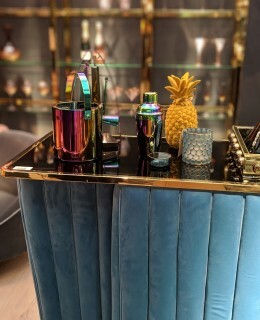 There was a strong art deco influence on many of the furniture and homewares stands this season. 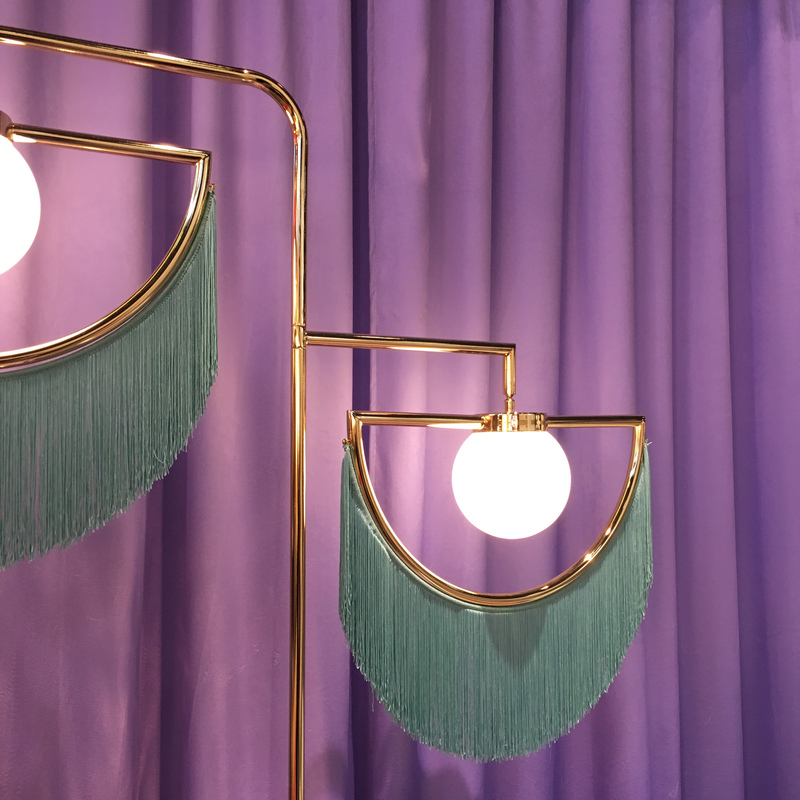 Houtique, who were an instagram and Maison & Objet favourite last year with their pink fringed light continued in the same vein with arresting colour combinations. 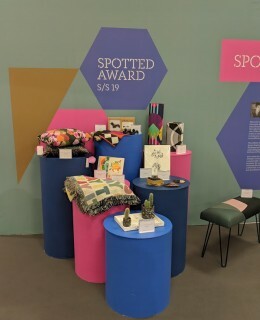 The impact of last years Pantone of the year ‘Ultraviolet’ was evident with striking lilac the prominent colour on their stand – this was paired with mint greens, pink tones and yellowy / gold. 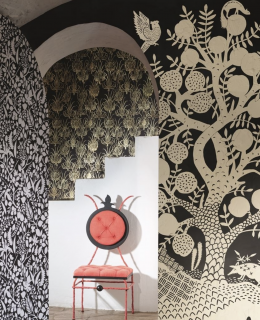 Although Art Deco appeared to be a strong reference with plenty of curved & scalloped shapes, the range also had a slight Miami retro influence thanks to a variety of pastel tones used on upholstery and furniture. Eno studios had concentrated on earthier burnt orange and ochre hues but with an Art Deco twist on upholstery. Velvet finishes were important along with fringing on lighting which we saw at both Eno Studios, and Houtique. 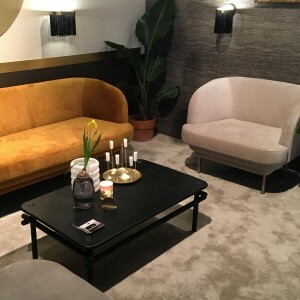 Thick tubular metal on occasional furniture and legs of upholstery was evident on many stands in coated and metallic finishes. On the opposite end of the spectrum we saw furniture that was relaxed, slouchy and informal. Tactile linen, cotton and denim upholstery cushions sat alongside more structured wooden frames. 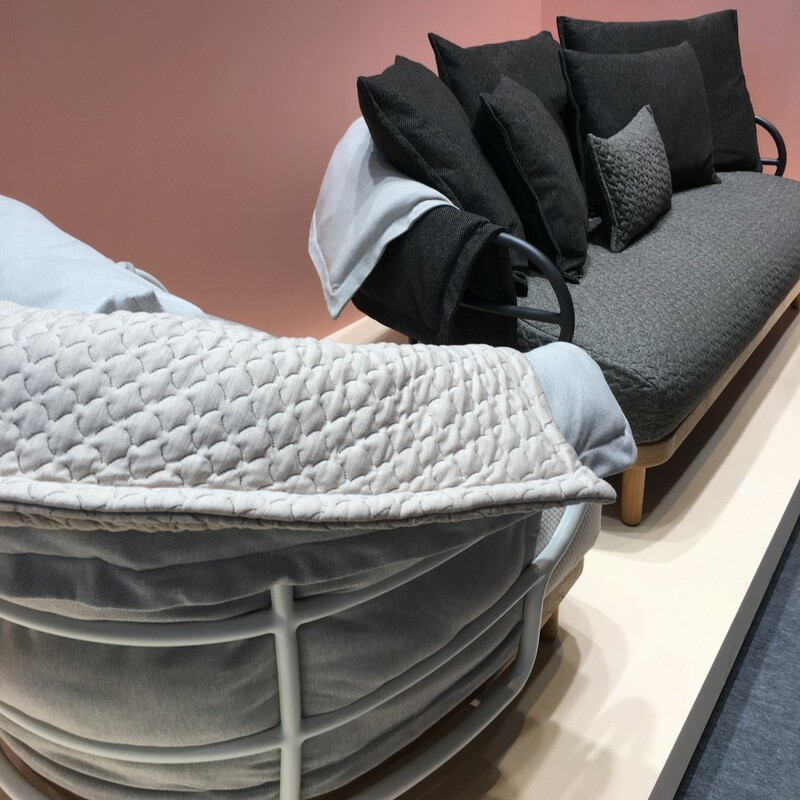 Scatter cushions were evident instead of ridgid fixed sofa cushions creating an laid back feel that could be adapted to fit with consumers needs. 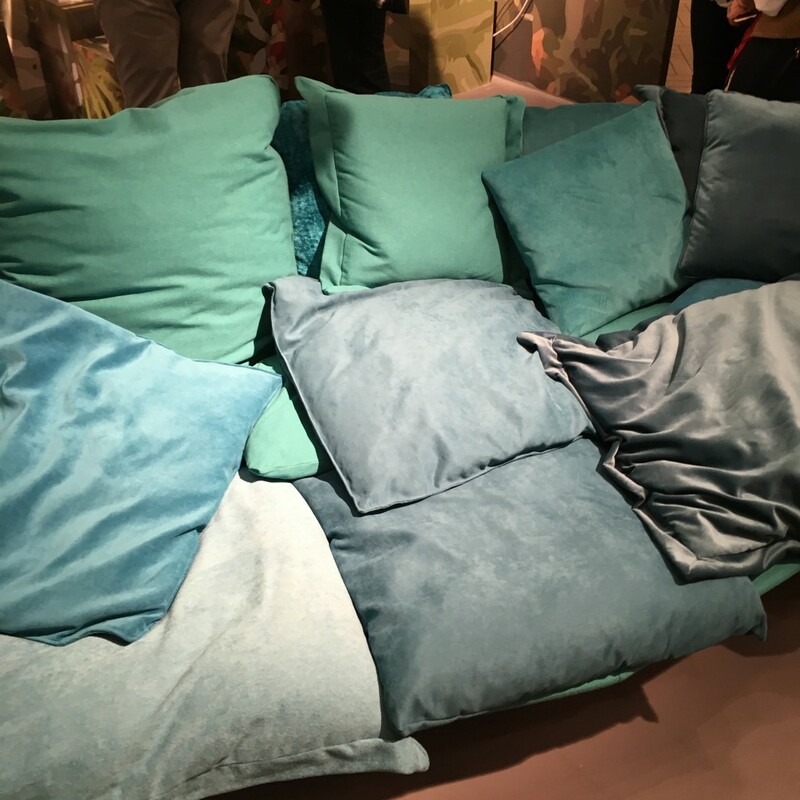 The Designer of the Year 2019, Sebastian Herkner, encompassed this trend with his sofa collaboration with Gloster.